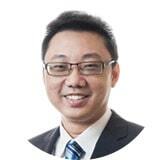 Tan Wooi Hong is a Partner of Zaid Ibrahim & Co. and heads the firm’s Corporate & Commercial I Practice Group. Wooi Hong regularly advises on commercial transactions, takeovers and mergers, corporate finance and securities related transactions and foreign investments to Malaysia. Wooi Hong joined the firm as a Partner in 2011. Before joining the firm, Wooi Hong was a Partner with a boutique corporate firm in Kuala Lumpur.